In the wake of a massive tax code overhaul and an unprecedented government shutdown, taxpayers are asking why long-expected refunds seem to be shrinking or disappearing and whether they'll owe a surprise bill to the IRS. A new report offers details on how the IRS is struggling to keep up with the backlog. 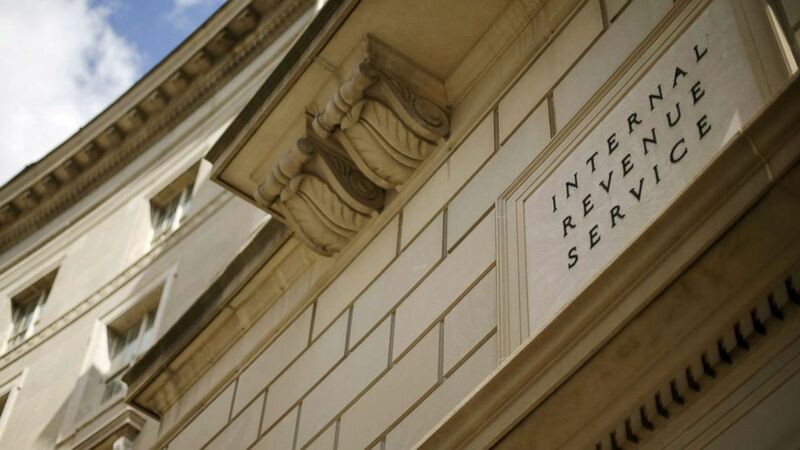 "The IRS is entering the filing season inundated with correspondence, phone calls, and inventories of unresolved prior year audits and identity theft cases," according to Tuesday's report from the National Taxpayer Advocate. On top of the shutdown, the IRS is dealing with changes from the Tax Cuts and Jobs Act. There has been a sharp decline both in the initial number of tax refunds and the average dollar amount refunded -- changes that have set off a wave of panic, confusion and political debate over the Republican tax law. "This was the biggest overhaul of the tax system in over 30 years," said Leigh Osofsky, a tax law professor at the University of North Carolina at Chapel Hill. "The IRS was under incredible pressure to get guidance out about the changes, and to change all of the forms and publications and instructions in response to the new law changes," Osofsky added. Comparing the first weeks of the 2018 and 2019 filing seasons, wait times on calls went from four minutes to 17 minutes, and the IRS went from answering 86 percent of calls to 48 percent routed to an Accounts Management telephone assistor, the report says. "It's going to be difficult for the IRS to really serve taxpayers the way that they would like to be able to, in the wake of tax reform," Osofsky said. Nicole Kaeding, director of federal projects for the Tax Foundation, said: "In terms of your interactions with the IRS, be patient. They're trying to catch up as quick as they can." (Jonathan Ernst/Reuters, FILE) A view of the U.S. Internal Revenue Service (IRS) headquarters in Washington D.C., May 27, 2015. Americans have been flocking to the IRS phone lines because of changes in their refunds resulting from the tax code overhaul. The IRS released statistics for one week of filings that show refunds were decreasing by an average of approximately 8 percent. However, Mark Mazur, director of the nonpartisan Tax Policy Center, a leading independent analyst group, told ABC News Live, "It's a little early to say what's going to happen for the entire filing season." Even if the 8 percent holds true moving forward, that doesn't necessarily mean Americans are paying more in taxes. Kaeding said many people had less withheld from their paychecks than normal as a result of the new tax law. "The difficulty, however, is that some individuals might not have noticed the lower tax withholding on their paychecks, because your paychecks reflect lots of different things," Kaeding said. "Maybe you got a raise in 2018. Maybe your health insurance premiums went up. Maybe you saved more in your 401(k). There are a lot of different reasons why your net pay would have changed outside of tax withholdings." Mazur said we're witnessing a perfect storm: poor government messaging, lagging tax literacy among individuals and longstanding financial expectations that don't necessarily still apply. The Tax Policy Center said most Americans -- 80 percent -- actually have seen an overall reduction in tax liability for 2018. Fifteen percent will see about the same, while 5 percent will end up paying more. "For a lot of taxpayers, getting a tax refund each spring -- February, March, April –-- that's perhaps the biggest financial transaction they have all year. They count on getting that $2,000 or $2,500 or $3,000 refund," said Mazur. "If it's smaller or nonexistent, that's a real hardship. Even if they've gotten the extra $50 or $60 per pay period all year long that money has been spent and they were looking forward to the refund." The report also reflected on the final day of the 2018 tax filing season, when the IRS experienced a systems crash. It resulted in taxpayers getting an extra day to file, but it hinted at underlying technological issues described in the report. "The IRS desperately needs to replace its antiquated technology systems," the report said. "Unfortunately, the IRS is a very, very under-resourced agency. And that's not a new problem. That's been going on for quite a long time," Osofsky said. The IRS told ABC News in an email: "The Taxpayer Advocate Service plays an important role in the nation's tax system, and IRS leadership will be reviewing the details in this year's Annual Report to Congress. The IRS is committed to continue making improvements across our Information Technology, tax enforcement and taxpayer service operations."